US Central Command (CENTCOM) announced today that Fawaz Muhammad Jubayr al-Rawi, a facilitator who handled millions of dollars for the Islamic State, was killed in a June 16 airstrike in Abu Kamal, Syria. Al-Rawi is the latest senior Islamic State figure to be taken out in eastern Syria, which has become an especially important stronghold for the jihadists. The US has conducted a series of airstrikes and other operations targeting key personnel in Deir Ezzor province. The US Treasury Department also designated two companies involved in moving money for the self-declared caliphate: the Selselat al Thahab Money Exchange, based in Iraq, and the Hanifa Currency Exchange in Abu Kamal. Hanifa was “owned and operated” by al-Rawi. In addition to work he did through Hanifa, al-Rawi leveraged his “network of global financial contacts to move money into and out of ISIS-controlled territory and across borders on behalf of the group,” according to CENTCOM. He helped pay “foreign terrorist fighters” and “conduct weapons and ammunition deals at a time when the terrorist group was seizing land and committing atrocities across Syria and Iraq.” In 2015, his farm was used for “weekly meetings” attended by “senior” jihadists and commanders. Al-Rawi rose through the so-called caliphate’s ranks and was considered a “finance emir” as of mid-2016, the US military says. Treasury described the extensive money handling al-Rawi oversaw on behalf of the Islamic State’s operations. 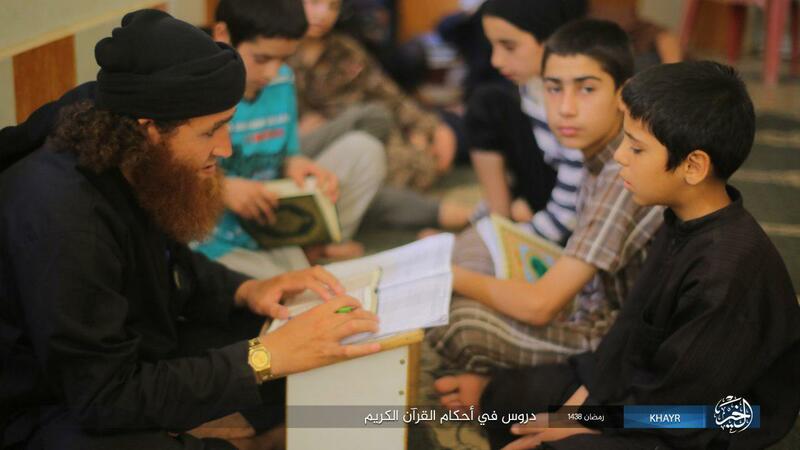 He established Hanifa in approximately 2010, years before Abu Bakr al Baghdadi’s men rose to power. At the time, he used it to “exchange currency between exchange houses in” Abu Kamal and Turkey. After joining Baghdadi’s enterprise, however, Hanifa “was used exclusively for” the Islamic State’s “transactions.” Al-Rawi “stored large amounts of cash,” “controlled the value of” US dollars in Abu Kamal, “facilitated [Islamic State] financial operations and oversaw money exchanges, money storage, and facilitation of payments” for the group’s fighters. 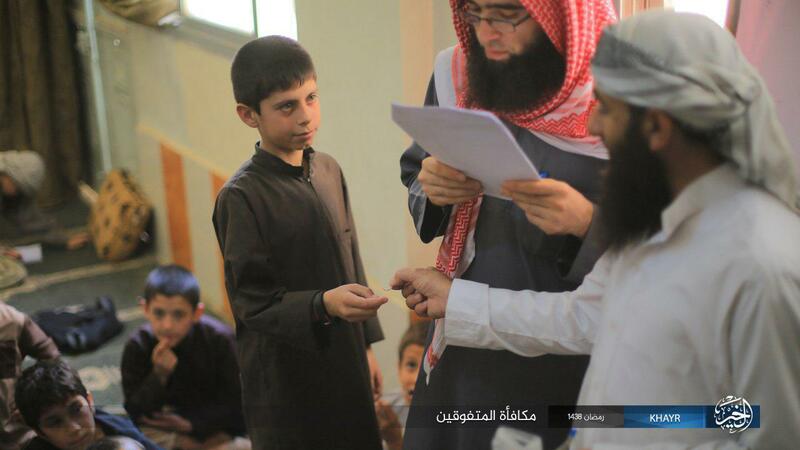 Al-Rawi pledged bay’ah (oath of allegiance) to the Islamic State in 2014. And the group considered his fealty “important due to his contacts outside of Syria,” according to Treasury. Abu Bakr al Baghdadi’s operation took control of much of eastern Syria in 2014, winning the loyalty of key commanders who had been previously associated with Al Nusrah Front. Other Al Nusrah officials who refused to bend a knee to Baghdadi were either killed or vanquished to elsewhere in Syria. While the jihadists have had a base of operations in eastern Syria for several years, the area has become especially significant as the group has lost ground elsewhere. The US military’s campaign of targeted operations has taken out several noteworthy leaders in recent months. The territory in and around Mayadin is a base of operations for the so-called caliphate, as evidenced by the personnel stationed there. CENTCOM describes three veteran jihadist personalities as “al-Rawi’s close terrorist associates.” They are Samir Idris, Abdurakhmon Uzbeki, and Abd al-Basit al-Iraqi. Two of them — Idris and Uzbeki — were hunted down near Mayadin. Uzbeki, a “close associate” of Baghdadi, was also involved in facilitating international terrorist attacks, including the New Year’s massacre at the Reina night club in Istanbul, Turkey. He was killed on Apr. 6. Al-Iraqi, the emir of the Islamic State’s “Middle East external networks,” was killed on Nov. 12, 2016 in Raqqa, Syria. He “was responsible for attacks across the Middle East, including against American, Turkish, and other European targets of interest, and was also involved in assassination plots, hostage situations, convoy reconnaissance, and helped arm, fund and move terrorist fighters,” according to CENTCOM. Still another jihadist killed near Mayadin was Abu Asim al-Jazaeri, who perished in an airstrike on May 11. 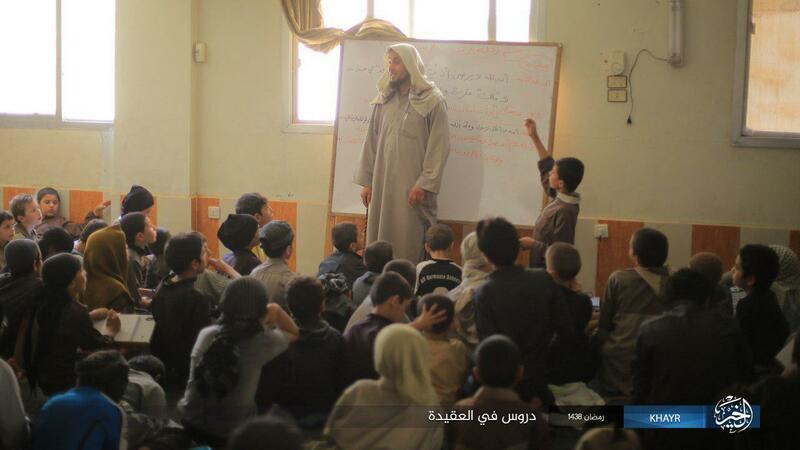 The US military says that al-Jazaeri, a French-Algerian man, was an “ISIS external operations planner” and also a trainer in the organization’s “Cubs of the Caliphate” program, which is responsible for indoctrinating “a new generation” of youths. 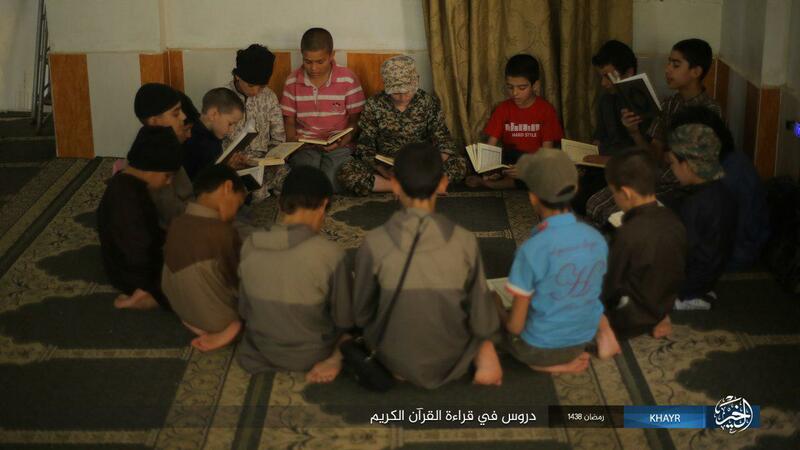 Earlier today, the Islamic State released several images (seen below) of young boys attending “Cubs of the Caliphate” classes in Mayadin. While al-Jazaeri is believed to be dead and the jihadists are under increasing pressure from most sides, the pictures are intended to convey a sense that the caliphate goes on. Excellent reporting Thomas. Indeed, we are in for a long war. Hopefully, if we are not doing so already, we will get other countries, particularly their intelligence services, involved in this. IMHO, this is of critical importance. AQ and other terrorist groups are active in well over a dozen other countries. The US can’t do this alone. Nor should we even be expected to do it alone. Of course, the critics need to face the fact that none of these other countries are going to have pristine human rights records. But, we can walk and chew gum at the same time (or multitask this thing). We can work together with these other countries while at the same time encouraging them to improve their human rights records. //www.constitution.org/cmt/law_of_nations.htm (those 3 words so simply put). We are in for a long war, because we ignored the fact that Islam was at war with us for decades. Since 9/11, we have only inflicted “love taps” on this enemy achieving only mediocre results. We are fighting not to lose, and not to win. US forces have not been permitted to unleash its overwhelming firepower on the this enemy, which has prolonged this war, increased the casualty counts, and increased the war costs. Reverse this strategy, and there will be a distinct opportunity to win by destroying the enemy’s will to fight, and discourage the indigenous peoples from supporting the enemy.